The hydraulic Mayo table, made entirely of stainless steel, with spokes to 4 feet in cast aluminium, counterbalanced with concealed weights in heavy alloy, completes the equipment of every dental operating room. The hydraulic column allows quick adjustment of worktop height. The tray 73x47 cm can hold large quantities of surgical instruments. 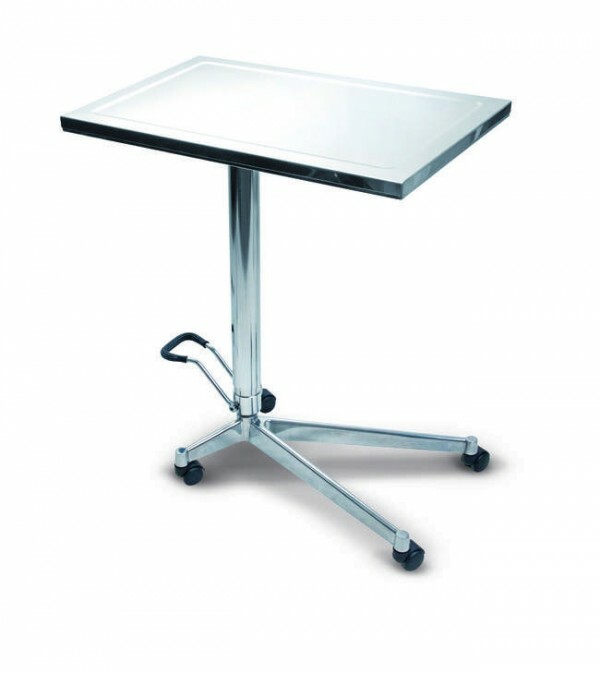 The table is electropolished by immersion to guarantee less bacterial adhesion.